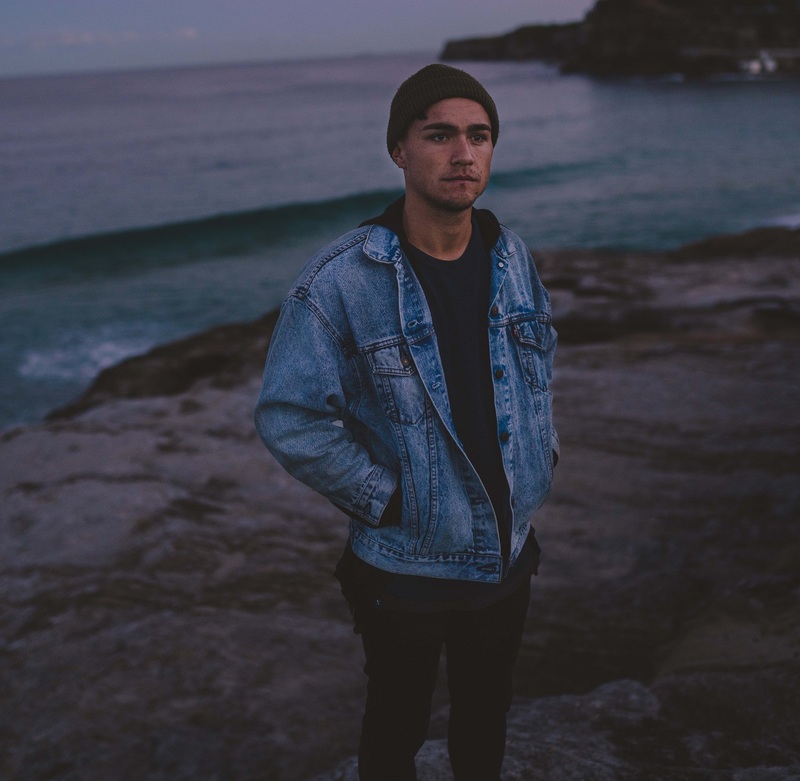 After finding success on streaming in both Australia and Europe with previous singles, writer and producer Sam Phay returns with his third single ‘Hell or High Water’. It's the first track I wrote for the Sam Phay project and kind of paved the way sonically for the rest of the tracks. It’s about committing your whole self to someone. As Shakespeare once wrote: “it ain’t easy being cheesy”. Walking that fine line between cool and cringe is FROYO –the soundtrack to a John Hughes movie that never happened. Heart comes as an emotionally charged synth-pop package that will see you having a good time and feeling all the feels. “Heart is about trying to do what your heart loves versus what your brain thinks”, tells Michael (vocals/keys). “In the bigger picture of the EP’s narrative, Heart is about learning to love again and embracing the things you love." Drawing on electronics and synths, Sam Phay's 'Fool' is dark, textured and romantic – his vocals are rich with emotion, comparable to Matt Corby and James Blake. Drawing on electronics and synths, Sam Phay's 'Fool' is dark, textured and romantic – his vocals are rich with emotion, comparable to Matt Corby and James Blake. 'Fool' is inspired by Father John Misty’s The Songwriter, which explores the ideology of the songwriter himself. A graduate of Unearthed High, Lupa J has proven herself as a gifted songwriter and producer. After performing on Triple J’s Like a Version and performing at the Sydney Opera House as part of Vivid Festival, Phay will wrap up 2018 with his debut release, ‘Trace’. So much of my musical output and projects had previously involved these big, triumphant, vocally expansive moments that I’d really attached my musical self identity to. I like to think that this song rejects a lot of those ideas whilst still feeling like it’s me. Lyrically, it’s about finding your way back too someone despite the distance, physically or emotionally. Eleanor Dunlop AKA LISHI is an Australian singer, songwriter and pianist. Her distinctly seductive vocals and dream-pop sounds have graced the airwaves, screens and stages of Australia and the world. Australian singer-songwriter, Lishi (Eleanor Dunlop) returns with her breathtaking new single and video, ‘Token’. Laced with beautiful melodies and subtle electronic textures, ‘Token’ explores love, loss and finding the strength to accept and move on. Bad Pony are an explosive mix of indie, rock, dance and pop. With a sound that will get you on your feet, Bad Pony are an experience not to miss! Half Blood is a deeper, darker display of the Bad Pony sound everyone has come to love. Jarred Young’s vocals are laced with emotion and in running parallel with an explosive instrumental, Half Blood really is a whole new level for Bad Pony. Newcastle, psych-rocker Billy Otto takes you on a dreamy ride of sonic exploration venturing into a sound that lands somewhere between Unknown Mortal Orchestra and Ben Howard. Reminiscent of the 70s surf-coast scene, 'Ghosts' was written in New York in collaboration with Nashville producer Luke O'Dea (Gang of Youths), is a sublime blend of reverb guitar and synth electronic waves wrapped up in possibly the most beautiful male vocal gracing Australia right now. Bad Pony are back with their new single 'Deficiency'. With an upcoming showcase at Canadian Music Week and a US tour, 2017 is set to be another huge success! “Deficiency is about being absorbed by the greedy, selfish nature of Sydney,” explains frontman Jarred Young. Residual are a Geelong indie-rock sensation. Their second E.P Haunt peaked at #3 on the iTunes Alternative Chart, and their touring history includes British India, Bluejuice and The Jungle Giants. Haunt is an emotionally driven track from Residual, featuring their signature rock sound with undercurrents of pop. This track will help soothe a broken heart and get you back on your feet ready to fight back! Geelong alt-rock sensation Residual's debut self-titled E.P. peaked at #11 on the Australian iTunes chart, and their touring history impressively includes British India, Bluejuice and The Jungle Giants. All For You is an explosive, punchy alternative-rock song that will have you ready to take on life's next challenge. Remember that time your relationship broke down and you were filled with rage, sadness and an eagerness to take on the world? Those emotions are All For You.